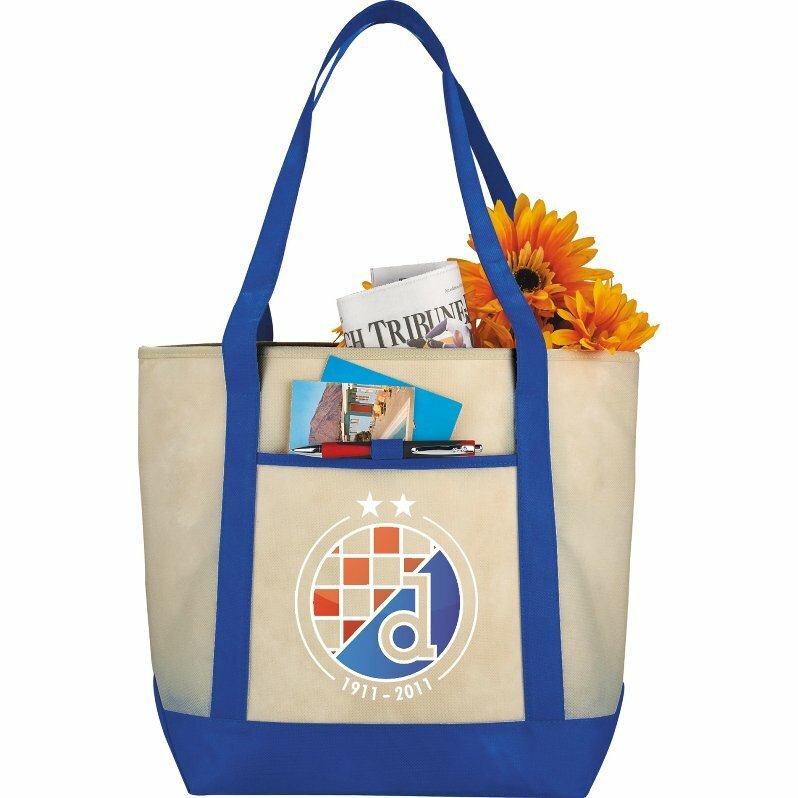 Buy this cheap tote at a low cost & get a logo printed on Cruise Boat Bags. Applications include cruise lines, retail, conventions, tradeshow, more. Construction is 80 gr non woven polypropylene with front pocket. Extra large cheap tote 17 3/4 w x 13 1/2 h x 6 d & 24" Handles. Need totes fast? Offering Rush Cheap Totes Production. Price includes a one std. color print on front area 6" w x 5" h.
one add $55 setup & running charge of $.45 each unit. For the lowest cost we recommend one color imprint. This cheap tote is the very best promotional tote bag I have ever seen! Not only is the design, quality there for the money but our logo came out looking great. I ordered over the phone and my rep was courteous and professional. I am definitely satisfied and recommend Promotional Items for their Cheap Tote Bags!